Because I have been involved with American sculpture for fifty-two years, my experiences are interwoven with these themes. In 1965, at the University of Delaware, Wayne Craven taught a seminar on American sculpture—likely the first anywhere—as he was researching and writing his seminal and comprehensive book, Sculpture in America.2 (Craven, who had written his dissertation at Columbia University on French Gothic sculpture, in teaching a course on American art at Delaware in 1961, discovered that nothing substantive had been written on American sculpture in decades and began compiling information.) My paper for that course, “The Impact of the Armory Show upon American Sculpture,” demonstrated that, despite conventional wisdom, avant-garde sculptors in the United States were not converted to modernism by that memorable exhibition.3 I discovered that exposure to vanguard art and artists in Paris and to non-Western and folk sculptures there and in the United States were the keys for early twentieth-century innovators of sculpture in the United States. The search for the point of change from academic to modern art for American sculptors has fueled my research and publications for the rest of my career. 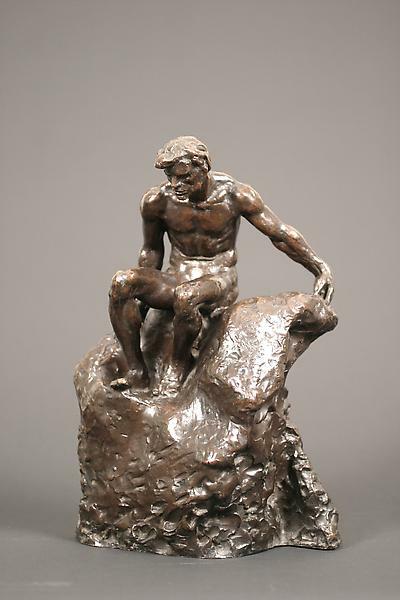 Authors of recent textbooks surveying the history of American art, while including formerly neglected groups of artists and subjects, allot very little attention to sculptors. Framing America: A Social History of American Art by Frances K. Pohl, American Art: A Cultural History by David Bjelajac, and American Encounters: Art, History, and Cultural Identity by Angela L. Miller, Janet C. Berlo, Bryan J. Wolf, and Jennifer L. Roberts are cultural and social histories that include more sculptures and crafts by Native Americans, African Americans, early Spanish settlers, and artists working in non-Christian religious contexts than examples of three-dimensional artworks by white artists.18 Confined in her text by the concise format of the Oxford History of Art series, Erika Doss in Twentieth-Century American Art (2002) recognized the importance of sculpture with one quarter of the illustrations and wrote an excellent interpretation of the late-twentieth century developments that have redefined sculpture as a medium. The near absence of American sculpture in museum galleries fifty years ago has been rectified. In 1962, William H. Gerdts organized an exhibition of American sculpture at the Newark Museum.19 In 1965, Albert TenEyck Gardner published American Sculpture: A Catalogue of the Collection of the Metropolitan Museum of Art and later that year led me on a rapid tour of the dusty American sculptures then stored in the darkened tunnels underneath the museum—with no heat or humidity control.20 In 1972, I found Lewis Sharp outdoors at the Met hosing the grime from marble sculptures which he had rescued from the dungeon in order to install them in the galleries. Amazing catalogues of American sculpture that have pushed our field forward include two from Brookgreen Gardens and many from museums, including the Museum of Fine Arts, Boston; the Pennsylvania Academy of the Fine, Philadelphia; the Metropolitan Museum of Art, New York; and the Corcoran, formerly of Washington, D.C.21 Digital catalogues of American sculpture—including provenance, analyses, and exhibition histories—are mushrooming on museum websites. In 2006, the Pennsylvania Academy of the Fine Arts opened the remarkable Sculpture Study Center in its Samuel M. V. Hamilton Building across the street from the historic building. The Luce Foundation has sponsored centers for the study of American sculpture by facilitating the installation of visible storage at four museums: the Metropolitan Museum of Art (opened 1987), the New-York Historical Society (2000), the Brooklyn Museum (2005), and the Smithsonian American Art Museum (SAAM)/National Portrait Gallery (2006). Creating the ability for all visitors to view hundreds of widely diverse sculptures is a game changer. Gertrude Vanderbilt Whitney, Portrait of a Sculptor (also Monument to a Sculptor), c. 1909, bronze, 14 x 9 x 5 1/2 inches. Photo: Mark Ostrander, courtesy of Conner – Rosenkranz, NY. When a museum has a curator of American Sculpture, the field benefits. For example, Karen Lemmey, curator of sculpture at SAAM—who currently has two long-term exhibitions on view, Measured Perfection: Hiram Powers’ Greek Slave and Direct Carving (both opened 2015)—also facilitated two recent solo exhibitions at SAAM, Martin Puryear: Multiple Dimensions (2016) and Isamu Noguchi, Archaic/Modern (2016-17). Thayer Tolles, at the Metropolitan Museum of Art, the only other dedicated curator of American sculpture, has similarly contributed immensely to the scholarship about and exhibition of American sculpture. She co-wrote the sculpture collection catalogue (1999 and 2000) and books about bronze sculptures of the American West (2010 and 2014), curated “Augustus Saint-Gaudens in The Metropolitan Museum of Art” (2009), and reinstalled the Charles Engelhard Court in the American wing in 2009.26 All curators of sculpture understand that their exhibitions are more expensive and difficult to organize, fund, travel, and install than those of two-dimensional works of art. The definitions of America, sculpture, and art history have evolved during the last fifty years. New theories, technologies, methodologies and archival resources have changed the ways that we think, research and write. New generations of scholars will mine the collective scholarship on American sculpture and then pose new questions. No new comprehensive and synthetic history of American sculpture has been published in nearly fifty years and I know of no one who wishes to answer that challenge. Michele H. Bogart, Public Sculpture and the Civic Ideal in New York City, 1890-1930 (Chicago: University of Chicago Press, 1989); Melissa Dabakis, Visualizing Labor in American Sculpture: Monuments, Manliness, and the Work Ethic, 1880-1935 (Cambridge: Cambridge University Press, 1999); Erika Doss, Spirit Poles and Flying Pigs: Public Art and Cultural Democracy in American Communities (Washington, DC: Smithsonian Institution Press,1995); Kirk Savage, Standing Soldiers, Kneeling Slaves: Race, War, and Monument in Nineteenth-Century America (Princeton: Princeton University Press, 1997); Savage, Monument Wars: Washington, D.C.: the National Mall, and the Transformation of the Memorial Landscape (Berkeley: University of California Press, 2009); and Jennifer Wingate, Sculpting Doughboys: Memory, Gender, and Taste in America’s World War I Memorials (Burlington, VT: Ashgate, 2013).